Loans: Banks or credit unions can loan you money. You pay the money back a little at a time. They charge you interest for the loan. 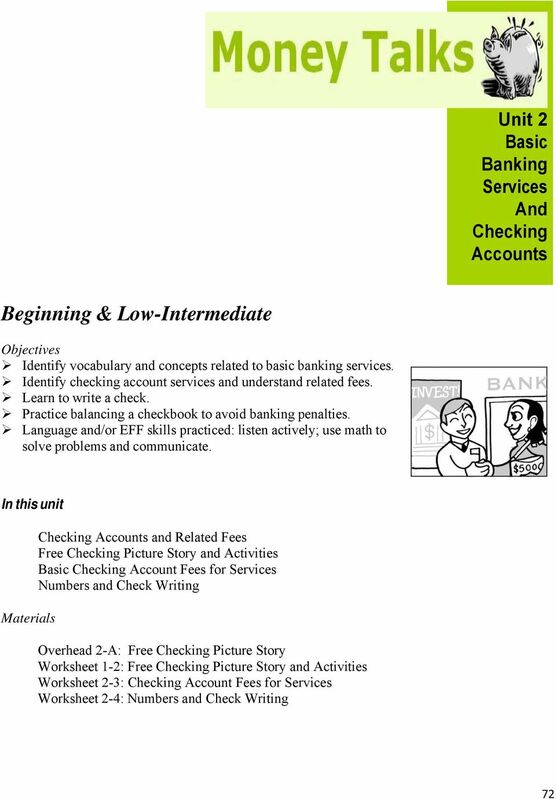 Basic Banking Services and Checking Accounts Beginner & Low-Intermediate Materials What Can a Bank Do for You? 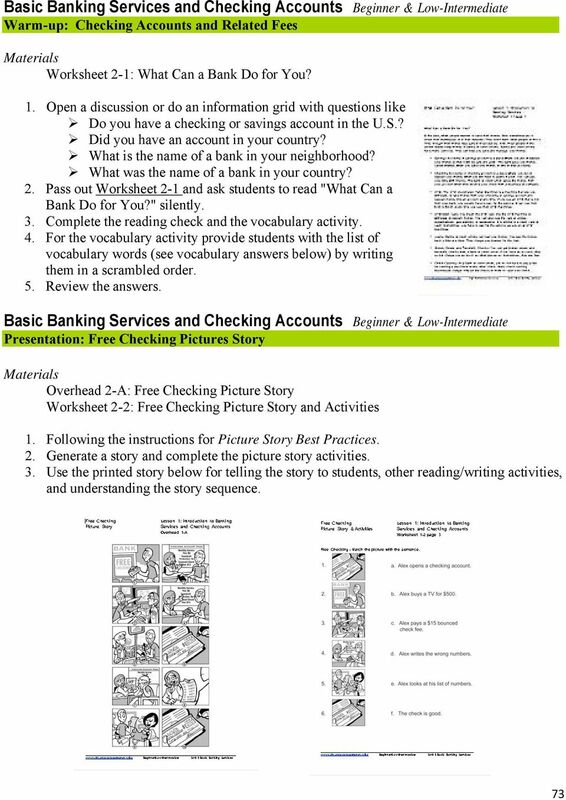 Lesson 1: Introduction to Banking Services Worksheet 1-1 page 1 What Can a Bank Do for You? Place Value. Key Skills. Complete the daily exercises to focus on improving this skill. lesson six using banking services teacher s guide using banking services web sites web sites for banking services The Internet is probably the most extensive and dynamic source of information in our society. Unit 2 Saving Money. 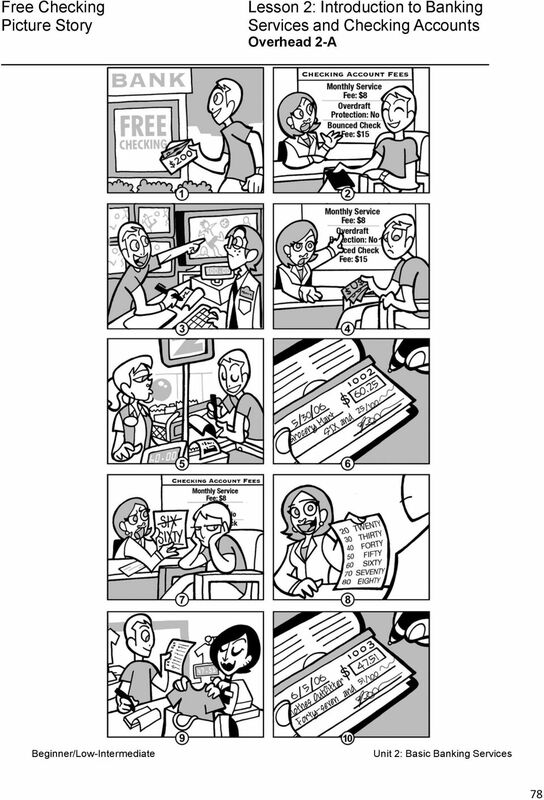 Picture Story Literacy Level Overhead 1-A page 1. Talk about this picture. Institute Name India Rankings 2017 ID Himachal Pradesh University IR17-I-2-18227 FORMAT - III Discipline Overall Parameter Full time Executive Programs of one year duration Amount No. of 2D.FPPP S.No. 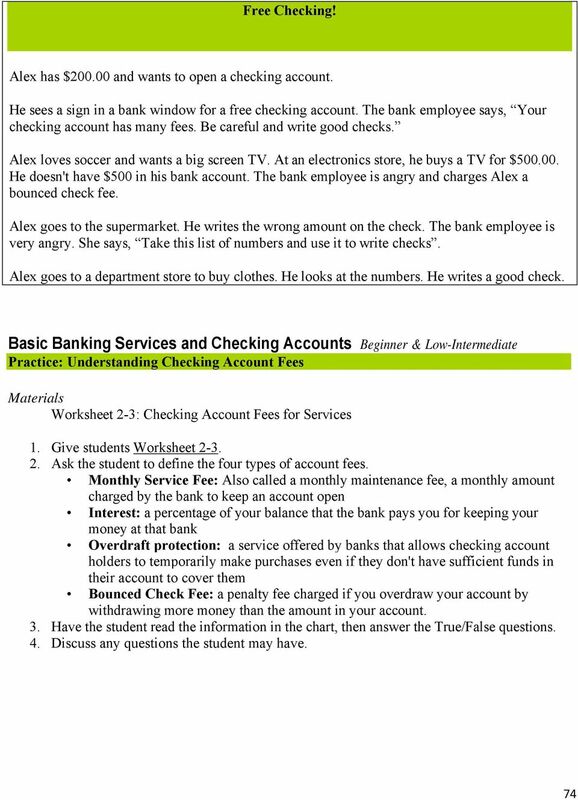 Standard 4: The student will demonstrate the ability to balance a checkbook and reconcile financial accounts. Standard 4. Beginner/Low-Intermediate. 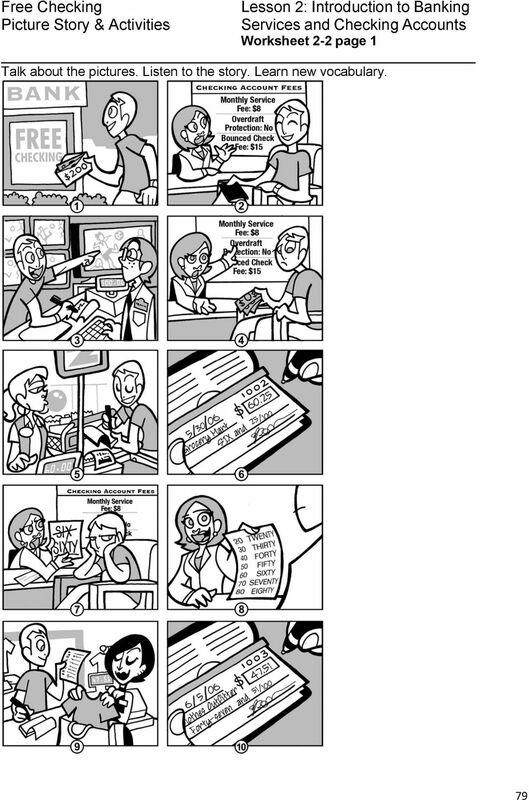 Credit Materials. Bad Credit No Loan! Overhead 2-A. Picture Story Bad Credit No Loan! 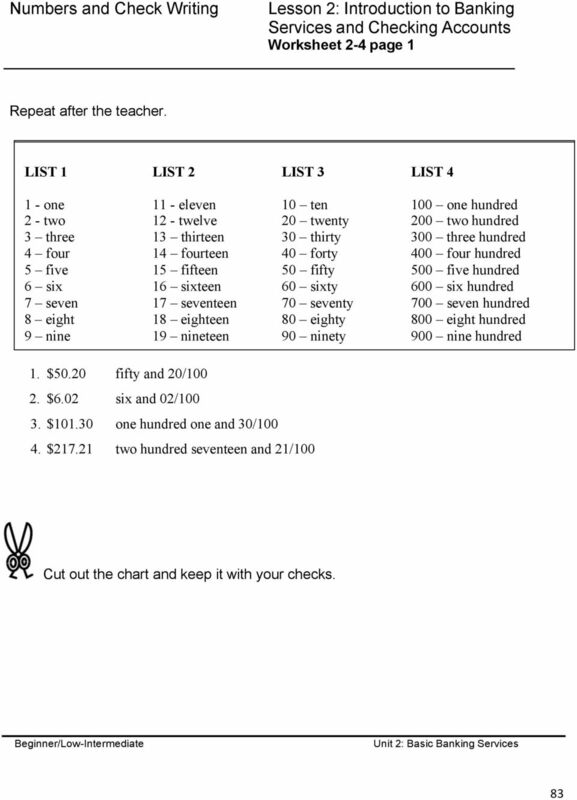 Vocabulary Student Worksheet Page 1 Name Period Primary 1. 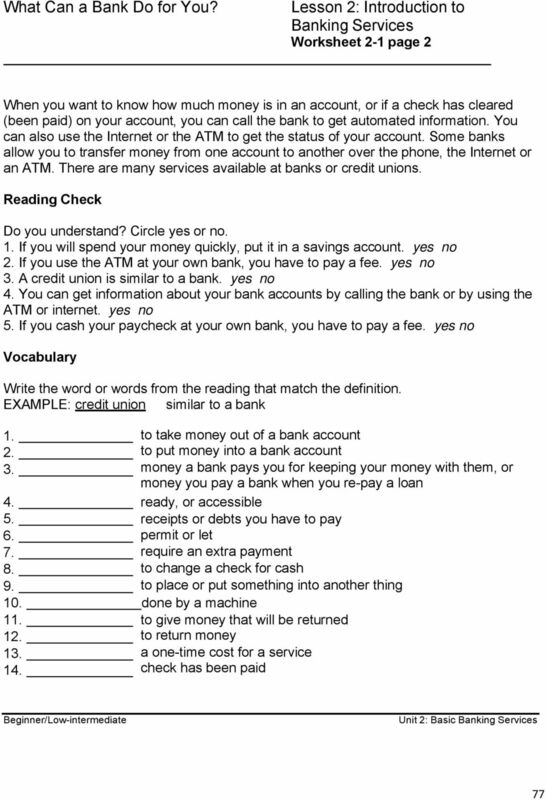 Bounced Check: Vocabulary Financial Institutions Student Worksheet 2. ATM Charge: 3. Stop Payment Fee: 4. Travelers Checks: 5. ATM: 6. FDIC: 7. Checking Accounts Open, Manage, and Reconcile 1. 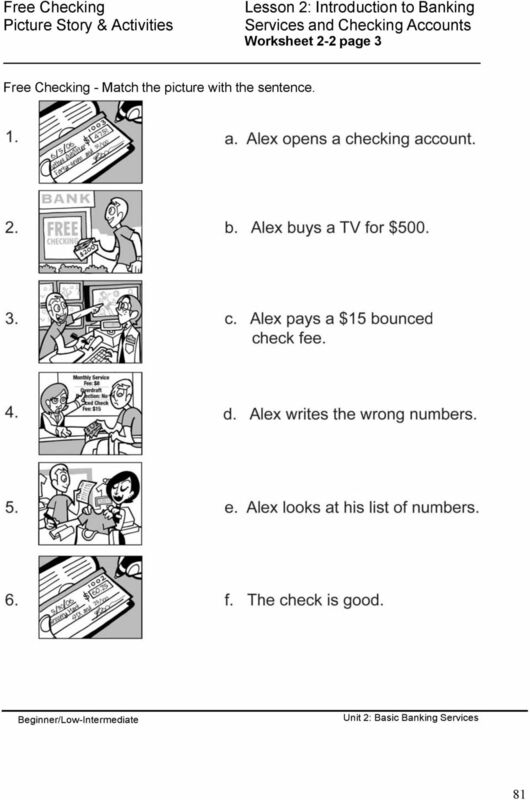 What is a checking account? 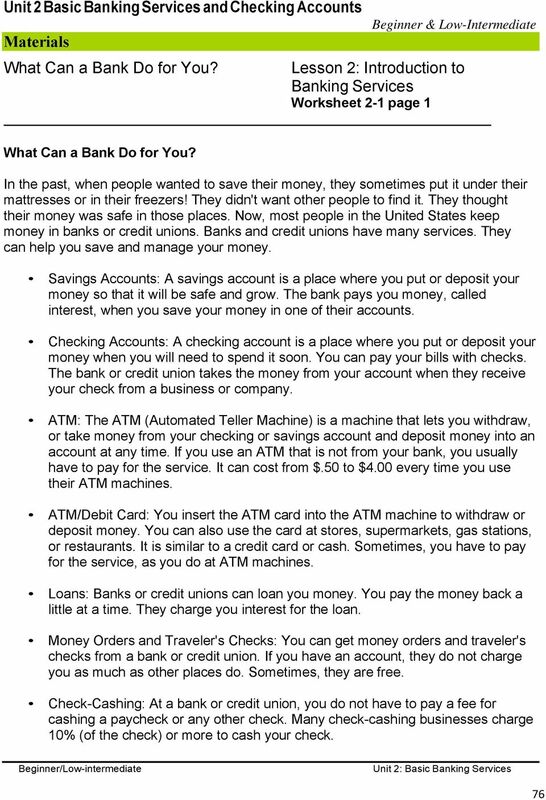 A checking account is opened at a bank or other financial institution. 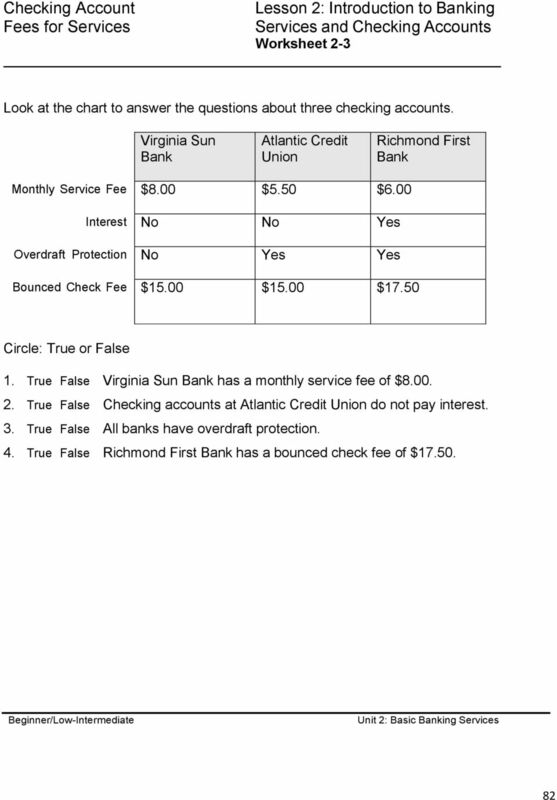 Banks offer several different types of checking accounts. Pay Yourself First. Identify Steps You Can Take to Save The following tips will help you to save your flexible income. Your Money Matters! 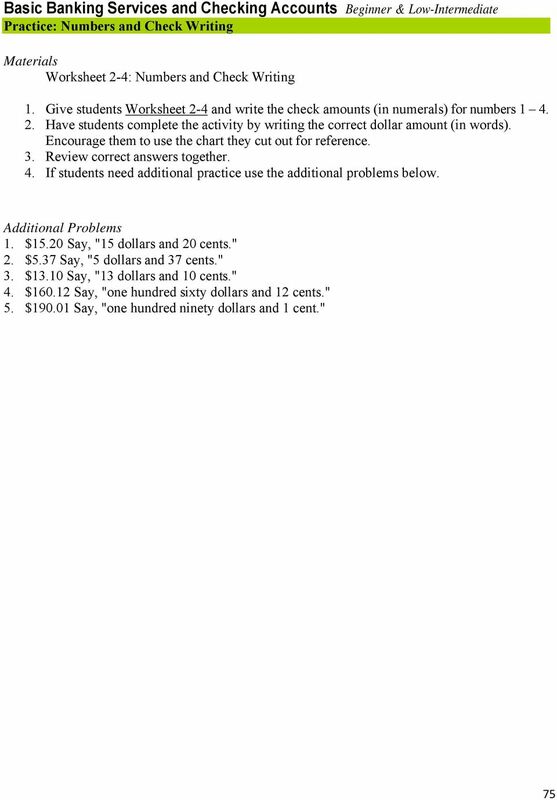 Financial Literacy Teacher Guide. Thanks to TD for helping us bring this resource to schools for free. Checking Account. Money Smarts for Kids. Money Skills for Life. Member FDIC. Welcome! 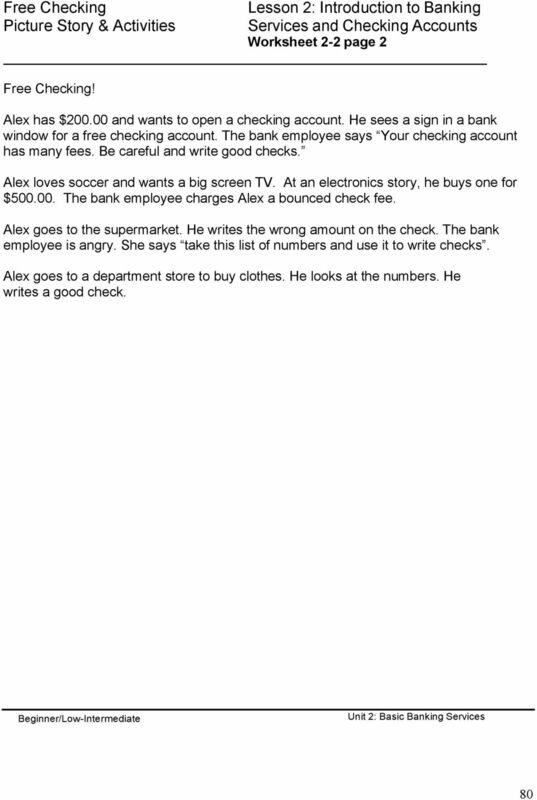 What Is a Checking Account? Why Is a Checking Account So Great?